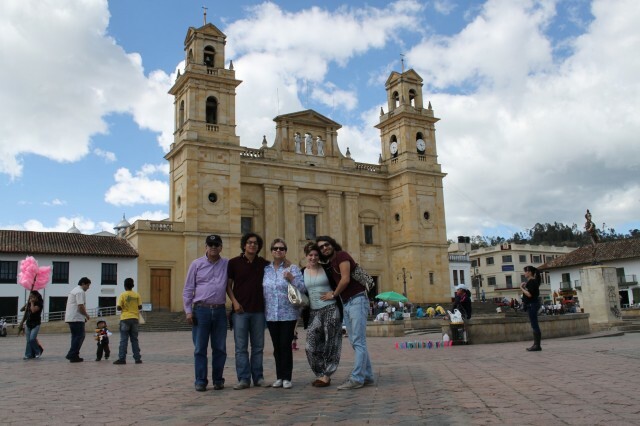 Learning to Speak Spanish Part III – Comer – Eat Me. Drink Me. And here I’ll digress for a moment to talk about the fried fish, mojarra mostly, which we ate copiously on the north coast. 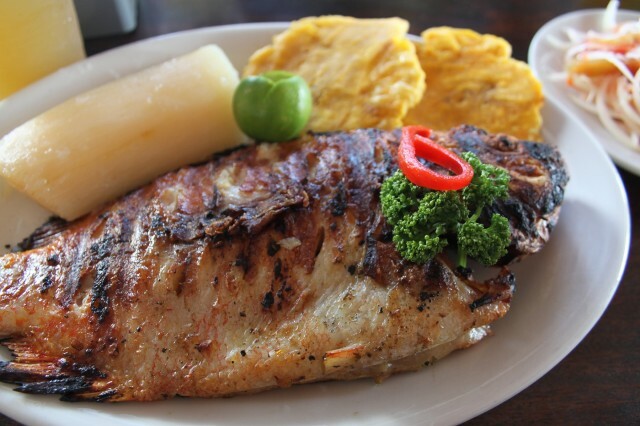 At one small outdoor restaurant in Santa Marta, where all of the tables were covered in thick green plastic, the fish was fried to such a crisp that you could even eat the fins. They crunched with a salty satisfaction better than any potato chip I’ve ever eaten. I learned to love yuca, a vegetable that doesn’t inspire much confidence with its gnarled brown skin and dense, milky-colored flesh. Even cooked, you have to work your teeth into the strange texture, a slightly stringy mash with a powdery, firm core. But after you’ve eaten enough yuca, its strangeness is somehow better than the neighboring potato’s regular blandness. 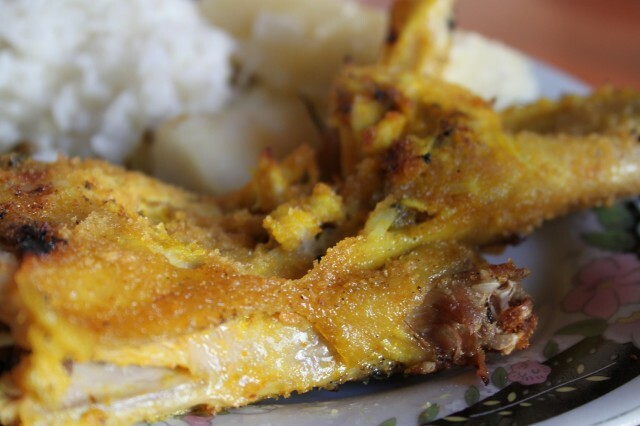 The yuca is often stewed in chicken broth and bright yellow colór, a spiced food coloring, or ground to flour and baked into little balls of bitter, chewy bread stuffed with cheese (as in pandeyuca) or bocadillo, sweet guava paste, (as in pandebono). It wasn’t hard to become a patacones convert. Patacones are made from platanos, or plantains, tough, chalky, not-sweet bananas which must be cooked before they’re eaten. 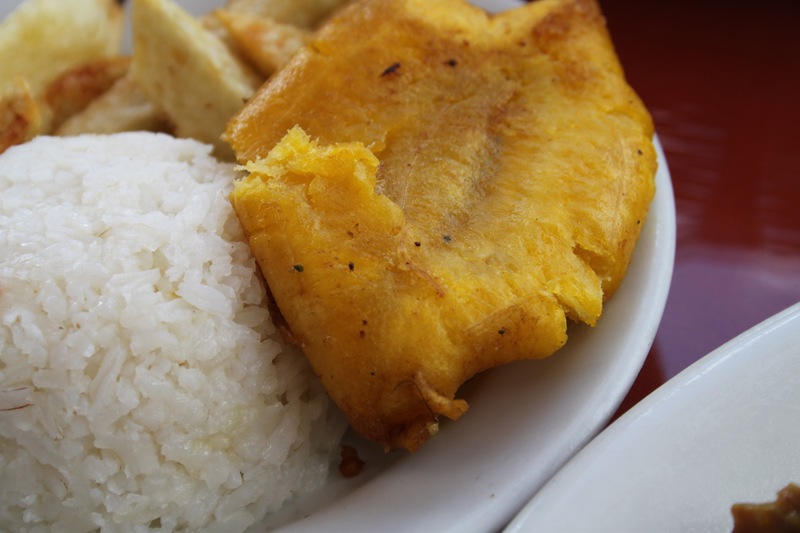 To make patacones, plantains are cut into 2-inch long pieces and deep fried. The fried bits of plantain are removed from the oil, drained, then smashed with something heavy and flat into a disc which is then fried again. 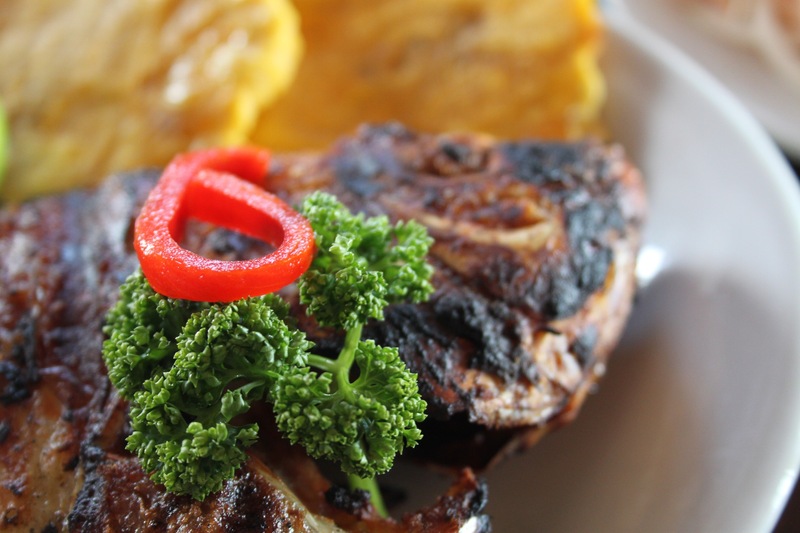 These twice-fried plantains are eaten with spoonfuls of spicy aji. Once, instead, his mother made sweet plantains, cut up slices cooked with butter and sugar until soft, syrupy and sweet. There were the tamales we ate one morning for breakfast. Dense corn masa suffused with chicken broth and tender chunks of chicken and pork wrapped in banana leaves, whose musky, verdant smell perfumed the tiny packets of meal. 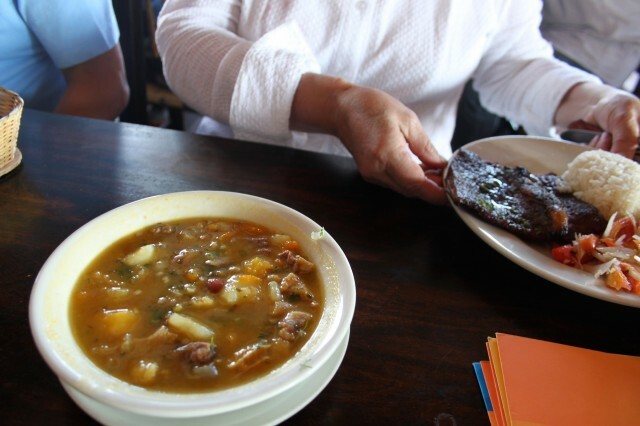 And then there were the soups for every mealtime and from every region of the country. 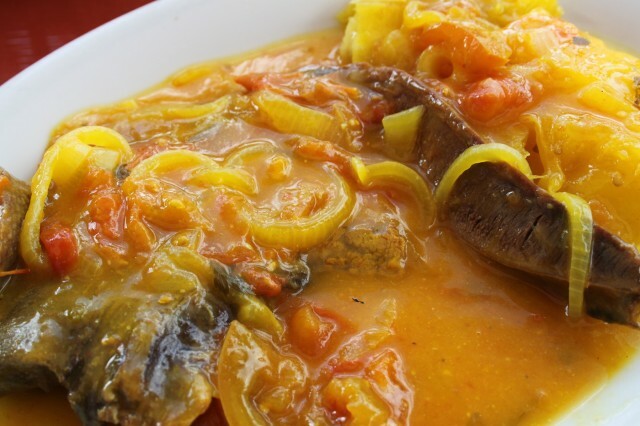 The Antioqueños prepare their soups with beans, the Costeños with pork and chicken, the Caribbeans with fish and coconut milk. Our first morning in San Gil, there was even a breakfast soup, changua, made with a broth of milk and water, salt, scallion, and a poached egg. Twice, we ate ajiaco, the traditional soup from Bogotá. Ajiaco is a hearty stock made with chicken, different types of potatoes, and guasca, an aromatic herb grown throughout the Americas but considered a weed in most parts of the world. The soup is served with separate dishes of rice, chicken, ears of corn, chunks of avocado, capers, and cream, which we spooned into our bowls ourselves. It seemed like every bowl was bottomless and every time a bit of bottom showed, I’d be instructed to have another helping, to try some more of this or eat some more of that. We ate and we ate and we ate. Comer. The verb that means “to eat.” I wish I had been able to speak better Spanish so I could say things like, This is phenomenal. The flavors! The textures! The ingredients! Teach me to make this. I wish I could have learned to cook as well as taste. But sometimes we don’t have everything at once. Just as you don’t learn a language in one fell swoop, how first you learn querer and then you learn besar and then you learn comer, you learn most things in life in stages. Even love doesn’t stop at first sight, but grows and becomes, a living thing. You do know, don’t you , that you have to create a dictionary for those Spanish foods. Good thing you wore those wrap around pants! You need to learn the Spanish word for Zat! You would think you would have come back like the little boy in a ball….